To enter the Taj Falaknuma Palace involves many steps. You drive to the entrance of the 32-acre palace; then, get on a horse carriage, which takes you to the entrance. You are greeted with vetiver juice. A ﬂag bearer carrying a golden ﬂag-pole bearing a coat of arms marches ahead as you climb the white staircase. Then the rose petal shower. Walk into the Ritz Carlton in Miami or George V in Paris and all you get is a form asking for your credit card details. Here in the East, we take hospitality much more seriously, garlanding our guests, giving them a welcome drink, offering them attar and sandalwood paste, or, in this instance, showering petals on them. 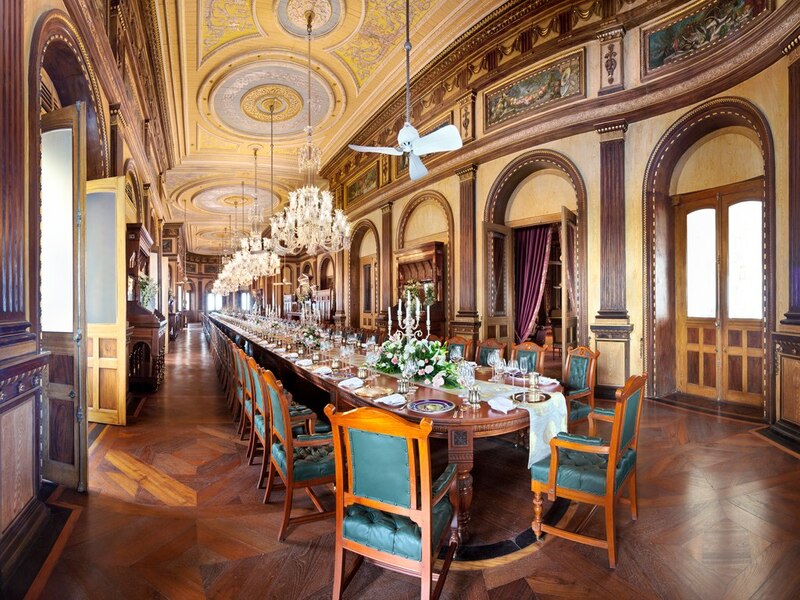 Built by Vicar Ul-Umra, the prime minister and son-in-law of then the Nizam of Hyderabad in 1893, the Falaknuma (meaning ‘mirror of the sky’) has had a chequered history. Sir Vicar as he was called, built and inhabited it for a mere ﬁve years when he heard that the Nizam was coming for tea. Tea extended to dinner and then overnight. Twenty days later, the Nizam was still in residence. What happened next was typical of the tehzeeb or etiquette of the era, when words were pregnant with hidden meaning. 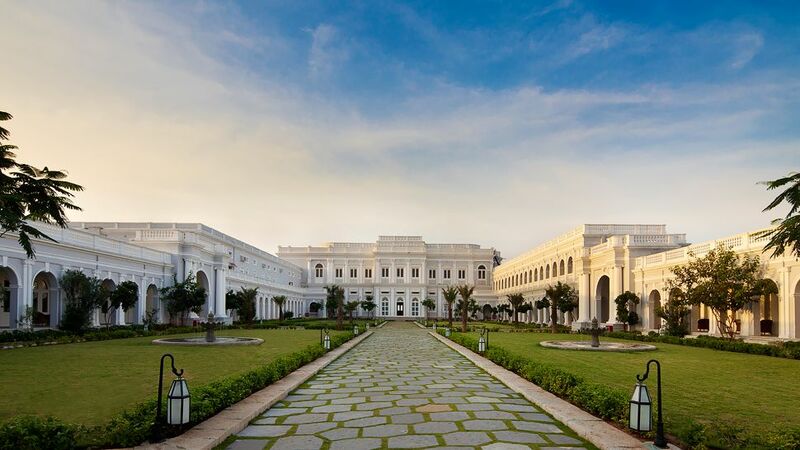 Sir Vicar watched his master’s delight in the palace and the curious questions: “How have you built a palace so wonderful?” He intuited that the Nizam coveted the palace that he had bankrupted himself to build and decided to give it to the Nizam as a nasr or offering. “Huzoor, I have built it for you,” said he. That same evening, three generations of Sir Vicar’s family, along with their retinue of staff, moved out of the palace. To give up something so substantial is not easy for any person, but that was the ethos of the era. The Nizam insisted on paying more than what the palace had cost to build. He presented Sir Vicar with Rs 68 lakh (10 lakh = 1 million), small change for a man who was on the cover of Time magazine with the headline, “The richest man in the world.” The Nizam had his own currency, airline, railways, a ﬂeet of Rolls-Royce, some of which were used to dump the household garbage, and the 48-carat Jacob’s diamond that rolled about his table in lieu of a paperweight. The Nizam’s family used the Falaknuma till after Independence, when they entertained India’s ﬁrst President Dr Rajendra Prasad in 1951. After that, the palace fell out of use and into disrepair till the current Nizam’s estranged wife, a princess belonging to the Turkish nobility, decided to restore it. Princess Esra Jah reconciled with her husband, the current Nizam, who lives in Australia, during her son’s wedding. 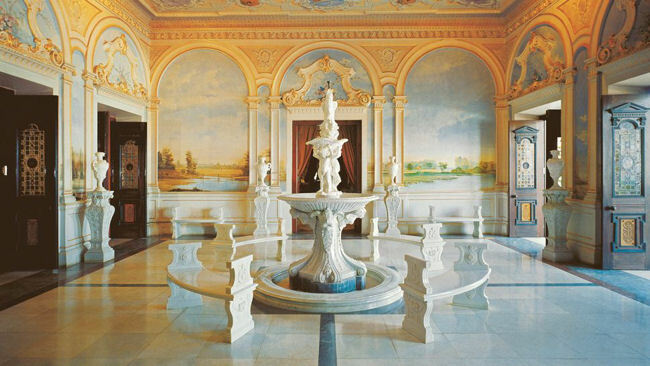 In 2000, she decided to restore the palace in partnership with the Taj Group of Hotels. By then, the palace was in an advanced state of disrepair. Water poured through the roof, rats were running around, the furniture and upholstery were chipped and broken, and cobwebs hung throughout the place. “I was among the ﬁrst persons to see the palace and it was scary,” says the historian, Mr. Prabhakar. It took ten years and countless iterations to get the palace back into its pristine glory. The walls were painted a hundred times to match the shade that Princess Esra had in mind: the colour of the sky at dusk. 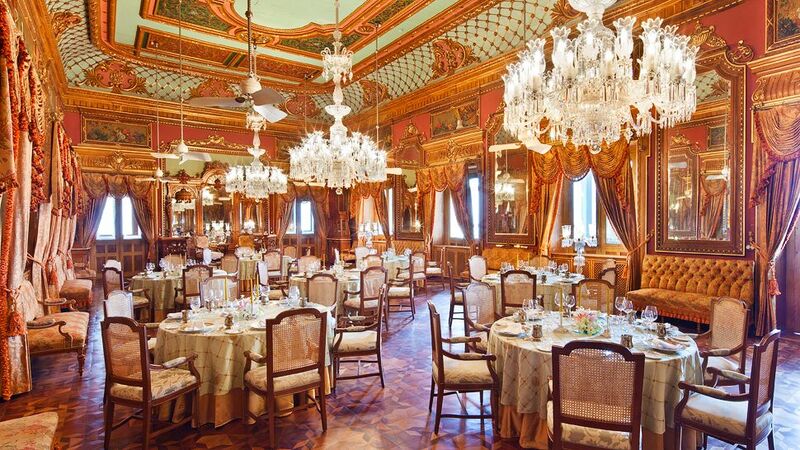 Today, the Falaknuma is a Victorian pastiche of many architectural styles. There are Corinthian columns, Italian frescoes, Carrara marble fountains, Tudor arches, Venetian cut-glass chandeliers, French trompe d’0eil paintings that make cement look like wood, ﬂeur de lis on stained glass windows, English paintings and upholstery. “Not one of the objects or inﬂuence is Indian,” says Mr Prabhakar proudly. The result is stunning but a little disconcerting. It is as if the palace was airlifted from Europe and placed atop the hill in Hyderabad. The city sparkles far below as Suﬁ singers sing on the Gol Bangla’s terrace. It is a city built for love, when Mohammed Quli Qutb Shah, whose portrait hangs in the Smithsonian, fell in love with a maiden called Bhagmati. In 1591, he moved his capital from Golconda to what was then a tiny village on the banks of the Musi village. He named the new city after his wife, Hyder Mahal. The city was modelled on Esfahan in Iran, with water-bodies for moon-watching, fountains, fragrant gardens and broad boulevards. When the bubonic plague hit the city, Quli Qutb Shah prayed to Allah to release his people from its clutches and built the Charminar (Four Minarets) in gratitude. Diagonally across from the Charminar is the Makkah Masjid, among the holiest shrines in India, built using soil and stones from Mecca. Ten thousand of the faithful can pray together here. 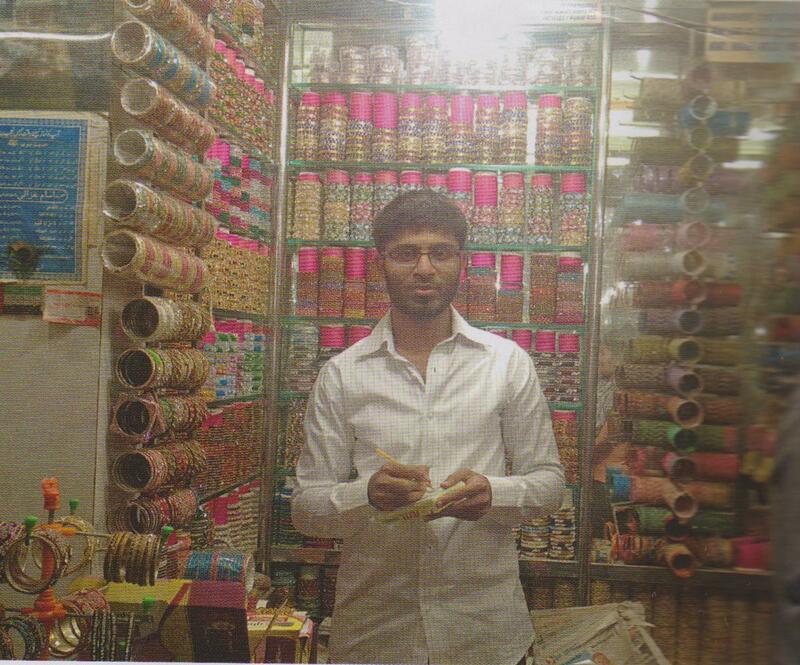 Today, the roads that radiate from the Charminar sell rhinestone-studded lac bangles that are a signature of the city. Countless shops glitter with these coloured gem-like ornaments. Vendors sell burqas, dupattas, vessels, fruits, knives, clothes, Unani medicines, orthopaedic massages and anything else that a person can need. It is a hub of humans and commerce. The Chowmuhallah Palace down the road is quieter. Built over 45 acres in the 18th century, it is now a museum and used for weddings and other ceremonies. Only 14 acres remain since the current Nizam ﬂed to Turkey and then Australia to escape debt payments from his wives and concubines. I attend a wedding there one night. The palace is stunning when lit up at night. Tuberose garlands cast their heady scent and the aroma of slow-cooking biryanis makes the tongue pucker. This is a city that takes it meat seriously. Men can argue for hours over the right technique to cook patther ka gosht, or lamb seared on a stone slab. Textile expert Soraiya Hassan Bose belongs to an old family. Today, she and a band of weavers sell the state’s kalamkari and ikat weaves in her eponymous shop. Hyderabad’s hand-loomed, hand-woven textiles are known throughout the country for their quality. Local fashion designers such as Anand Kabra use the state’s weaves in their designs and infuse it with a modern cut. Jewellery designer Suhani Pittie lives in a heritage mansion that houses her contemporary creations. Both are passionate about their home state and its rich traditions. There are two Hyderabad today, one is the city around Hussein Sagar Lake; the modern city that attracts IT companies to its Hi-Tec City or Cyberabad. 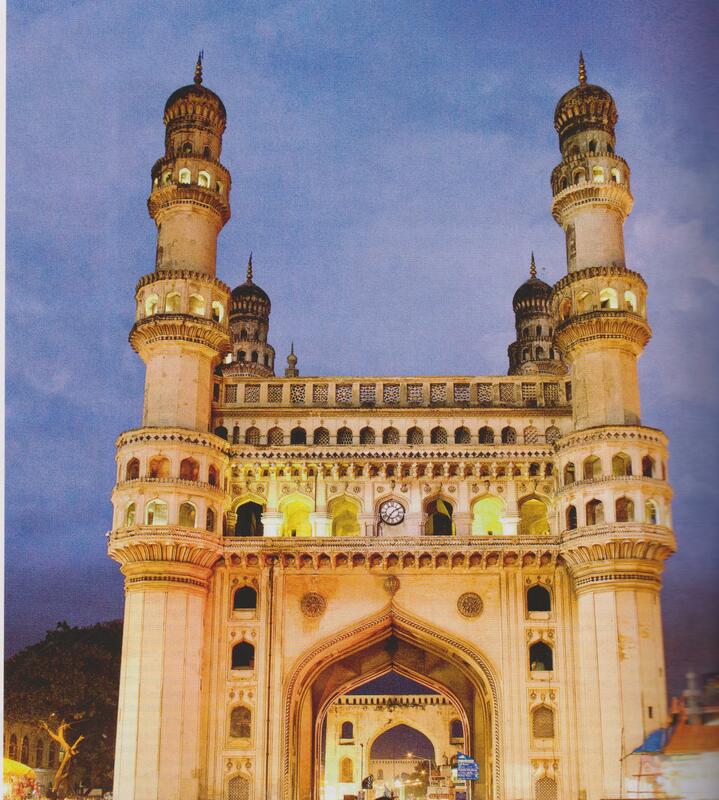 Then, there is the slower, more leisurely city that was created by kings and Nizams; the Hyderabad of slow-cooked meals and exquisite etiquette.